Can Canada remain an energy contender? A new report from PwC highlights the key actions the Canadian energy industry needs to undertake to navigate the rapidly changing terrain of the global oil and gas industry. According to PwC’s paper titled Energy Visions: Who's in Charge, there’s an ongoing power struggle in the global energy industry. With its increased shale supplies, the once OPEC-dependent US has turned into a challenger. Extreme price volatility due to both supply- and demand-side forces has also weakened OPEC’s authority. To put a floor on global oil prices, OPEC has entered into an agreement with non-OPEC members to temporarily cut output. With OPEC exports of heavy sour crude to Asia going down, it’s becoming more economically feasible for North American barrels to service that region. The new US administration under President Donald Trump is also seen to impact the game. Pro-business policies that lower taxes, build infrastructure, and cut regulatory red tape are expected to push through. For the Canadian industry, Trump will be a wild card, as his policies create both opportunities for Canadian resource development and competitive challenges. 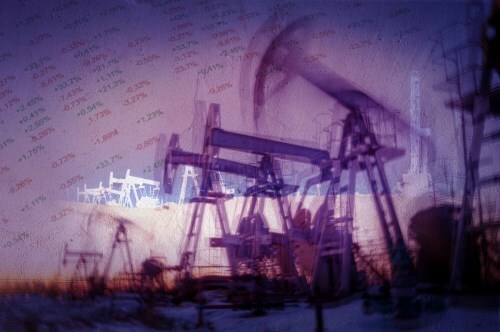 “With the new US administration and a freshly signed OPEC agreement, the outlook is still one of uncertainty for oil and gas,” said Reynold Tetzlaff, national energy leader at PwC Canada. He added that price volatility remains a key consideration for all industry players. As the US and OPEC’s struggle for supremacy shakes up the market, Canadian players have an opportunity to weather the lows and excel in the future. To do that, however, they have to balance multiple priorities, including “cost containment, capital discipline, strong sustainability practice, operational excellence and an innovation culture,” according to Tetzlaff. Carbon policies present an additional challenge to Canadian oil and gas companies, both in terms of operations and the ability to attract and maintain capital in Alberta, especially in the eyes of international investors. To toe the line between reduced greenhouse emissions and global competitiveness, the report said, there must be greater collaboration between government and industry stakeholders. “I am confident that Canada, with our technological innovations and ingenuity, and strong environmental standards, is well positioned to build on its position as a global leader within the sector,” Tetzlaff said.